I cannot believe I'm writing this post and it's already the end of May. Which means summer is HERE! Let me just tell you this month I had an outfit in my head and just KNEW who would be my inspiration! THE Mix and Match Mama...I combined some of Shay's very favorite things to make this outfit. 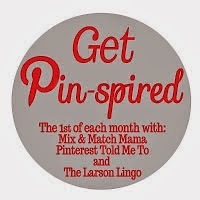 I'm linking up with Shay, Sheaffer, and Mel to show you my Pin-spired look. 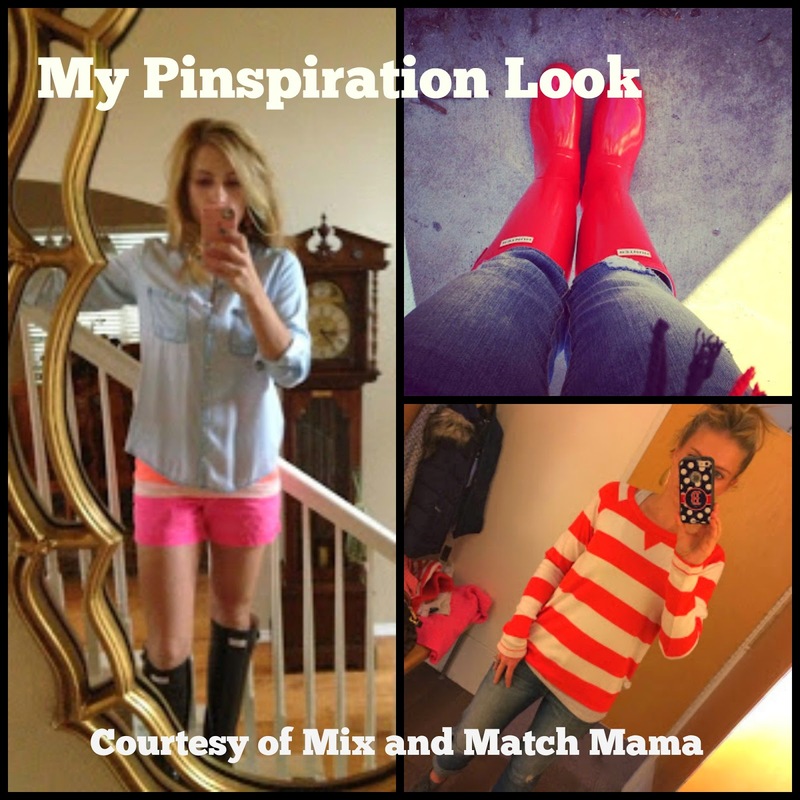 I took Shay's love of short shorts, Red Hunter rain boots, and stripes to get my look. My original plan was my mint short, but they were dirty!! So I improvised. What do you think? Did I nail her look? 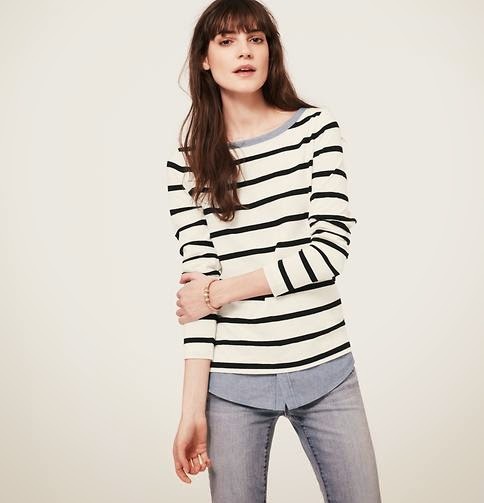 Short-sleeve boatneck tee-LOVE the length! 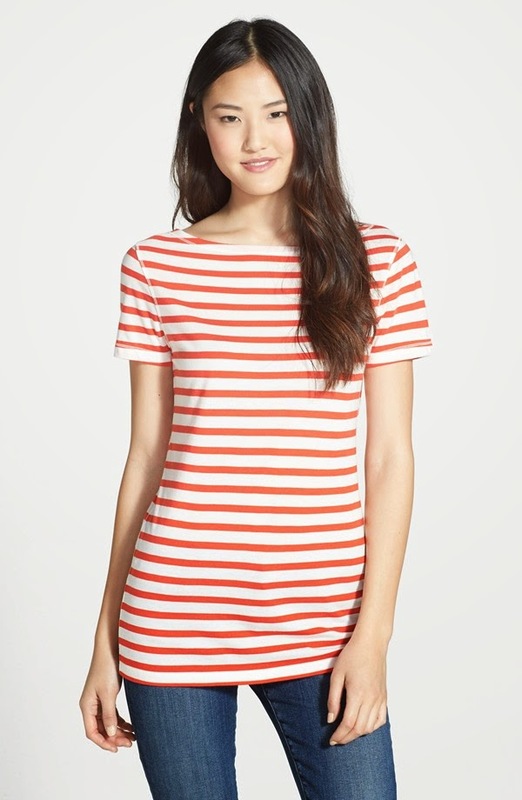 Boatneck stripe option from Loft-it would be super cute with shorts! 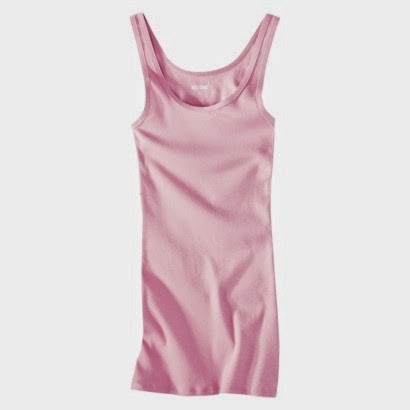 My exact Target tank here. 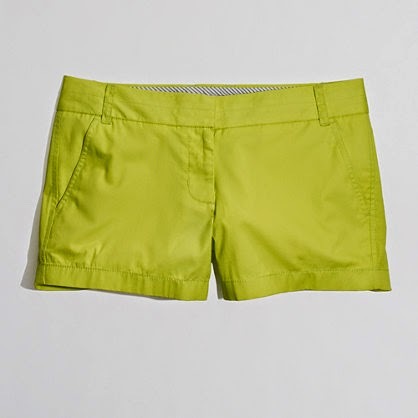 Exact J.Crew Factory shorts here. 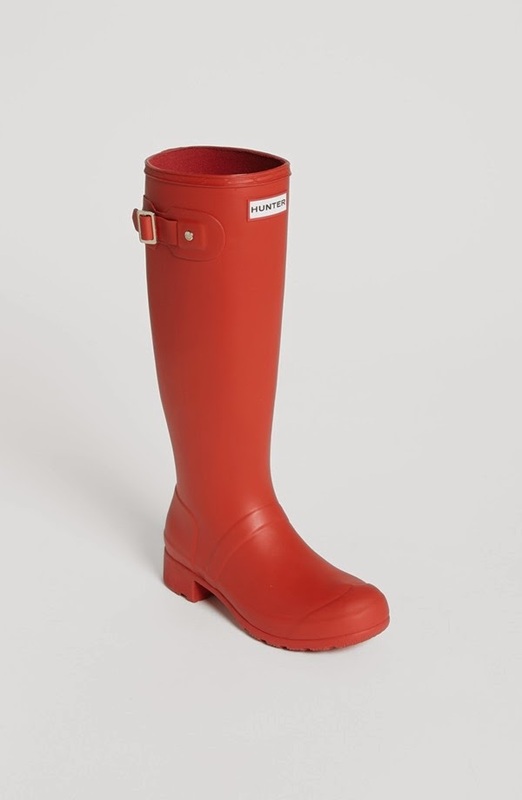 Exact Hunter Rain Boots here. I just left a comment on Shay's blog saying I've never worn shorts with my Wellies! But you girls look so good doing it that you can GUARANTEE I'll be wearing shorts and wellies next time it's raining. Let's be real, even if there's only a slight chance of rain, it's happening. Love your post today!!! You totally nailed me :). Love you friend! You totally nailed Shay's look, yet made it your own! I love it! And you always look cute! And aren't JCrew shorts just the best?!?! I need to buy these boots...ASAP...I really could've used them last night!!!! Cute outfit! I love those boots! WOW you are wearing Shorts and Wellingtons and this is my favourite outfit, I often go into town wearing blue denim Shorts and glossy black Huntress Wellingtons and get lots of admiring glances and this makes me feel special.